Have you ever received one of those love letters from the IRS that says you owe them more money? Occasionally a client calls me in a panic when they receive one. Most of the letters I have seen are due to the client or the tax preparer forgetting to include the sale of a stock or mutual fund on their tax return. 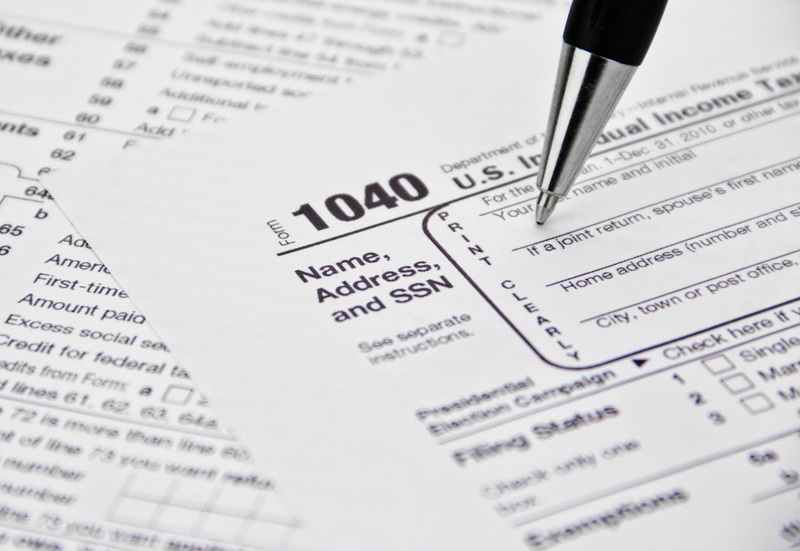 Unfortunately, the IRS letter often overstates the amount of tax owed. This is a fairly common mistake and is being caught more frequently thanks to computers. The IRS gets some details of stock and mutual fund sales either from the brokerage company or the mutual fund company. What they would receive is information saying John Doe, Social Security Number 123-45-6789, sold XYZ mutual fund for $10,000. They do not know the cost basis, or what you paid for that investment. This is a very important piece of information, because you don't pay taxes on your principal. The IRS will take this information and compare it to your tax return. If they don't see mention of the XYZ sale, there is a good chance that you will receive an automated letter. These days, the letter will list the security sold, how much it was sold for, and say you owe tax on how much it was sold for. In these "Love Letters," the IRS assumes you put $0 into the investment and you got $10,000 out. I like to think I'm a pretty good financial planner, but even I can't turn zero into any amount of money! The IRS then calculates your tax based on a $10,000 gain. Now they do tell you that they have assumed a zero cost basis and you can calculate your own. That is really good advice, because it will save you money. If you originally invested $8,000 in the mutual fund or stock and then sold it for $10,000, then you only have a $2,000 gain. Tax on a $2,000 gain would obviously be smaller than tax on a $10,000 gain. But what if you invested $14,000 and sold the investment for $10,000. Now you have a $4,000 LOSS which might mean the IRS owes YOU money! I had a widowed client come into my office worried that the big bad IRS was going to come after her because she owed around $4,000. I read her letter and sure enough, her tax preparer forgot to note a mutual fund sale and the IRS taxed her on the whole amount. She was so scared her hands were shaking! I took her shaking hands in mine and said she did have a mistake on her return, but it really wasn't a $4,000 mistake. I asked her to wait a few minutes while I looked up her account. When I returned, I had a big smile on my face. Because the stock market was down, she actually had a loss on her account. I got to tell this nice woman that the IRS would have to send HER a check! I printed out the records she needed so she could take them to her tax preparer. She was still very nervous and thought she should send the IRS a check just in case, but ended up not doing it. I heard from this lady a month later. She just received a check from the IRS for about $200. She was so excited! Instead of having to pay $4,000, she got money back! This phone call really made my day! The good news is eventually these "Love Letters" will contain all the correct information. The Emergency Economic Stabilization Act of 2008 mandated that cost basis information (what you paid for the investment) be tracked and given to the IRS when the stock or mutual fund is sold. This data will be tracked only for stocks bought after January 1, 2011 and for mutual funds bought after January 1, 2012. If you're like many of my clients who have held some stock or mutual fund positions for years and years, your cost basis information is considered "Non-covered" and is not transmitted to the IRS. So if you sell stock or mutual funds bought before those dates, you need to make sure you give the cost basis information to the IRS on your tax return to avoid one of these nasty letters. If you receive a "Love Letter" from the IRS someday, don't panic. Seek help from a tax preparer to see how much you truly owe. Perhaps you will be like my client and get some money back!